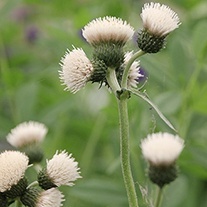 Essential for any mixed planting with their spiky and tall architectural form adding shape and texture. Standing in the border through the whole of the summer, these plants are tough and easy to grow, thriving in a moist, well-drained soil in full sun. Dead head before they seed to encourage repeat flowering. Buy 3 plants, save over £5!